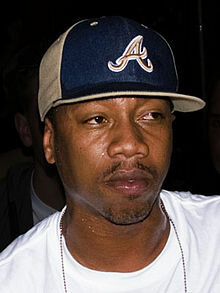 Planet Asia has collaborated with famous artists such as Linkin Park, Bun B, Talib Kweli and Ghostface Killah. In 2003, Avatar Records signed Planet Asia to an exclusive world-wide recording contract and in 2004 released Planet Asia's debut album, The Grand Opening, to positive feedback. It earned him another Independent Album of the Year award from The Source. Avatar also released 12" vinyl records including "Summertime In The City" b/w "G's & Soldiers" featuring Kurupt produced by J. Wells, "Its All Big" b/w "Right or Wrong", and "Real Niggaz" featuring Ghostface. His record "G's & Soldiers" featuring Kurupt was prominently featured in John Travolta's 2005 film Be Cool released by MGM. After leaving Avatar, Planet Asia started his own record label, Gold Chain Music, with Walt Liquor. His next album, The Medicine, was released on October 3, 2006 on ABB Records and produced by Evidence of Dilated Peoples in its entirety, along with co-production credits from The Alchemist, Nucleus & Bravo. On June 26, 2007, he released "The Jewelry Box Sessions: The Album" on Gold Chain Music. The album featured the single "Havin' Things and in 2010, he collaborated with Malaysian artist, Mizz Nina, on a song called Hope. In 2011, Planet Asia was a judge on the Ultimate MC TV show alongside Royce da 5'9", Sean Price, Organik, and Pharoahe Monch. 2009: Planet Asia & F.L.O. : Planet F.L.O. 2015 Natica Nagas Ep - "Cup Over Filleth"
"Put on a Show (Tonite)"
^ "Free Family Tree, Genealogy and Family History - MyHeritage". ^ "Planet Asia - Planet Asia EP".